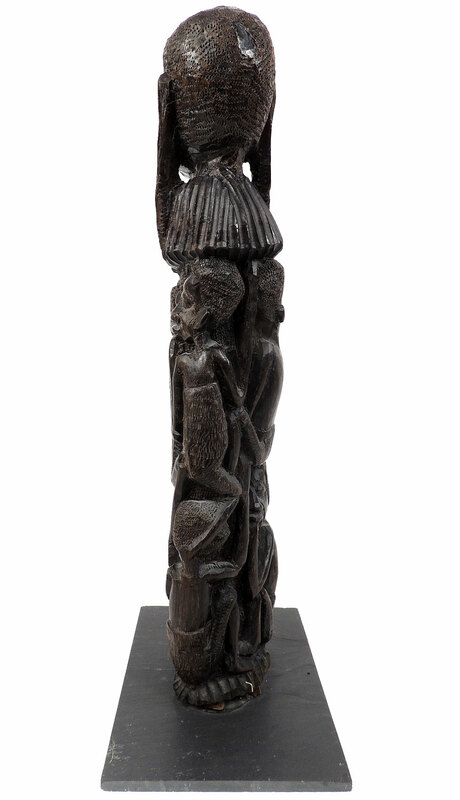 Modern Makonde sculptures are powerful carvings, each unique, bearing no resemblance to ""airport art"" ebony carvings. They are carved of ebony or ironwood. 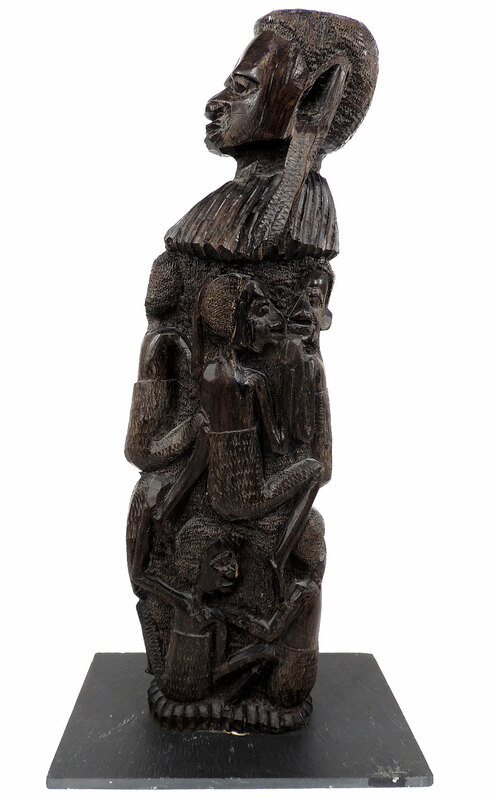 Their subjects usually include SHETANI, a world of spirits, demons, devils. The art is fluid, yet angular. 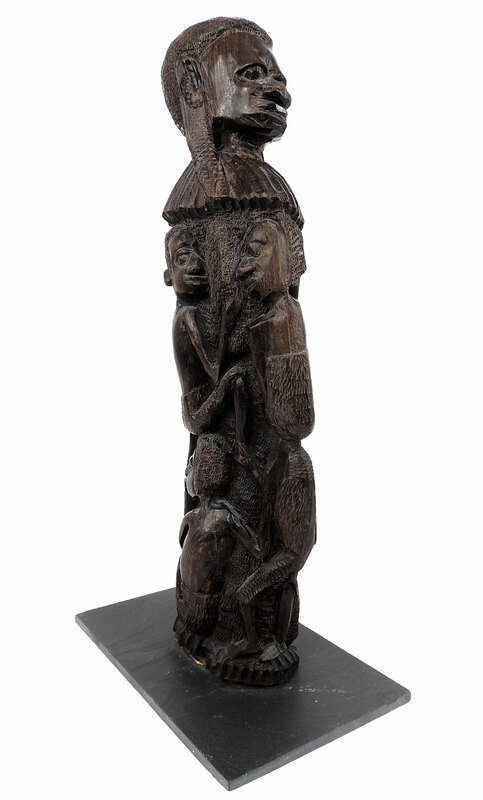 The Makonde live in Tanzania and Mozambique. 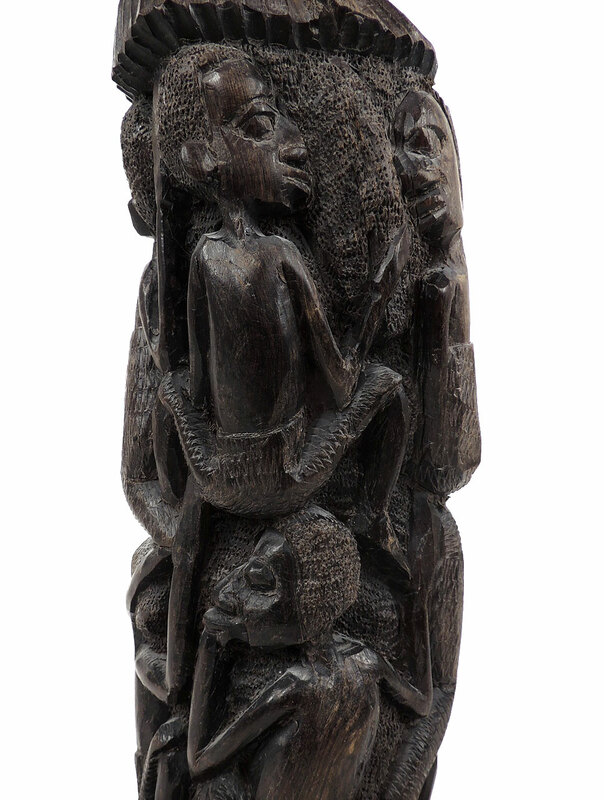 For wonderful examples, see Max Mohl's MASTERPIECES OF THE MAKONDE and Stout's MODERN MAKONDE SCULPTURE.